Progressive organizations are observed with improvement, not only "continuous improvement" but also "break-through-improvement" which is achieved through business process reengineering. It is about innovating and changing the way work in done and the way people work together to get it done. Total Quality Management and Business Process Reengineering are two approaches that complement each other having the same focus-"customer satisfaction". The various topics dealt in this book are: Overview of Business Process Reengineering, Break-through Improvement and Innovation, Concepts and Techniques of BPRE, Relationship between BPRE and TQM, Organizing for BPRE, Problem in BPRE, Change Management in BPRE and Reinventing the Organisation. 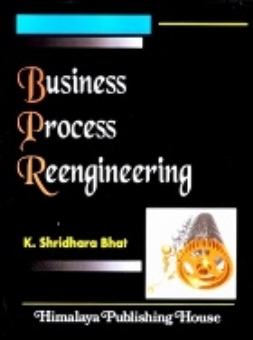 This book present concisely the various topics relevant to the subject - "Business Process Reengineering". The salient features of this book includes exhibits, box illustrations, chapter summary, review question process reengineering in action, case illustrations and case analysis.